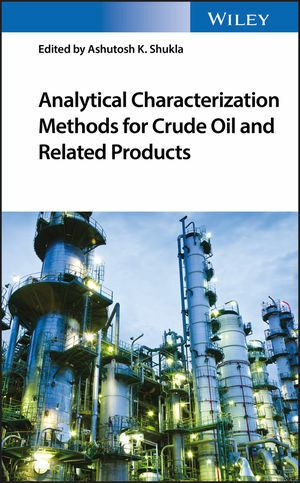 Analytical Characterization Methods for Crude Oil and Related Products is aimed at researchers in academia as well as technicians and developers of new analytical methods in the oil industry and related areas. It will also be of interest to professionals, scientists, and graduate students in analytical sciences dealing with oil and environmental analysis. Ashutosh K. Shukla, PhD, is Associate Professor of Physics at Ewing Christian College, Allahabad, India. He is a Member of the International EPR Society (IES), Web member of the International Society of Magnetic Resonance (ISMAR), and matching member of the American Physical Society (APS).